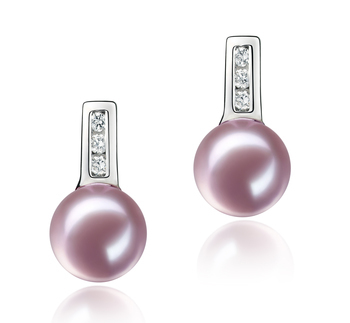 The best type of Lavender Freshwater pearl earrings a woman with an oval face should wear is teardrops and ovals. Both of these will softly complement the contours of such a face shape. 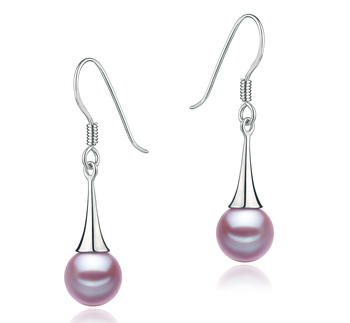 For such women, a beautiful pair of Lavender Freshwater pearl drop earrings would look stunning on them. 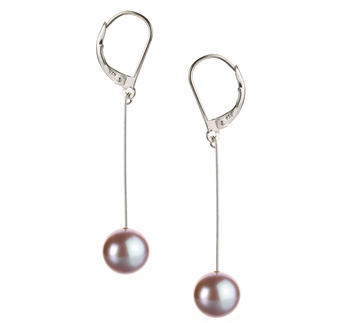 The length of these earrings will help to elongate the face. 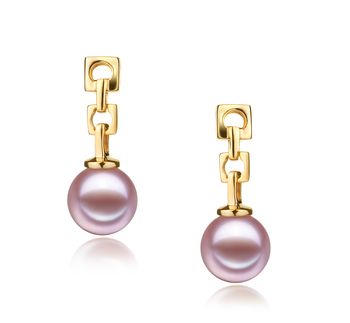 If you have a heart-shaped face you need to try wearing a pair of earrings that are wider at the bottom rather than at the top. 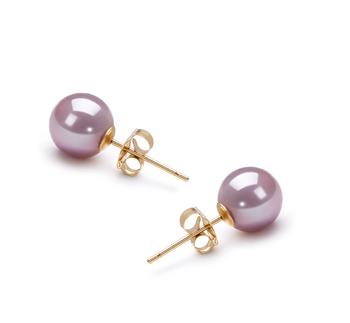 A pair of lavender Freshwater pearl drop earrings would be perfect for your face. 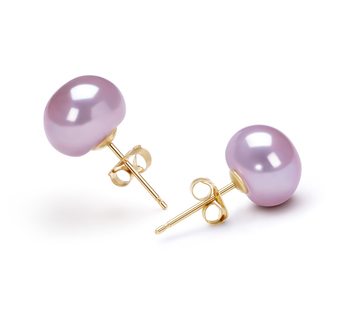 Look for a pair of Lavender Freshwater pearl earrings that are medium to long in length, as these will look amazing on any woman who has a square shaped face. 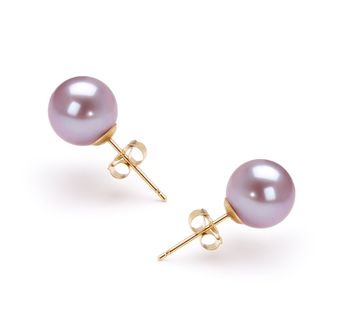 Also as pearls have rounded edges to them they help bring attention in on the earrings and further help to soften the natural angles of the wearer’s face. 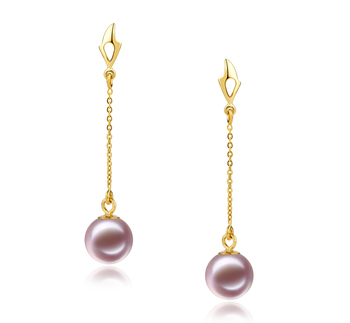 For women with a narrow shaped face earrings that have lots of volume will work best. 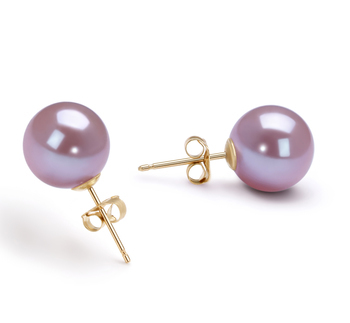 But also short dangle with pearls will prove very flattering as they help to draw people’s eyes across the wearer’s face horizontally. 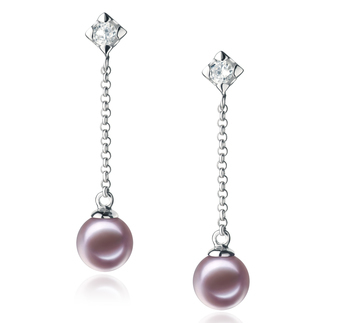 If you have a diamond-shaped face then you need earrings that will help to balance out your natural beauty. Go for ones that have more width than length. 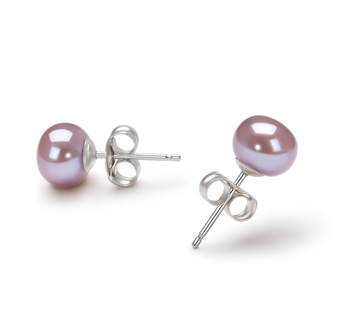 Also, you might want to look at a pair of our Lavender Freshwater pearl earrings that are a combination of straight lines and curves, as this still will help to flatter your features more. 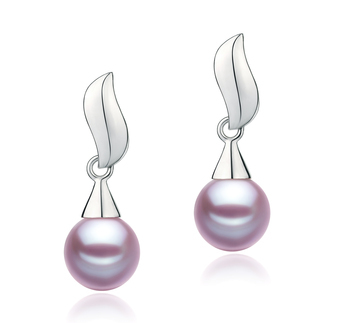 The same also goes for a pair of very delicate drop earrings. 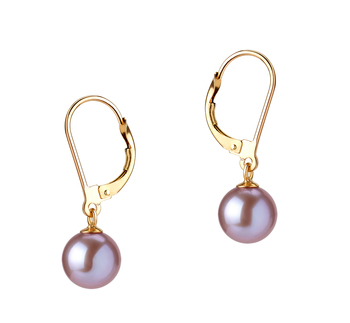 The shape of your face isn’t the only thing to consider when it comes to choosing the right pair of Lavender Freshwater pearl earrings for you. 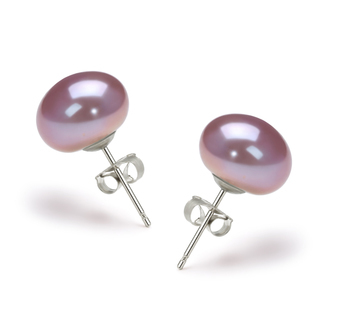 You also need to take into the kinds of outfits you like to wear on a daily basis or for special occasions. 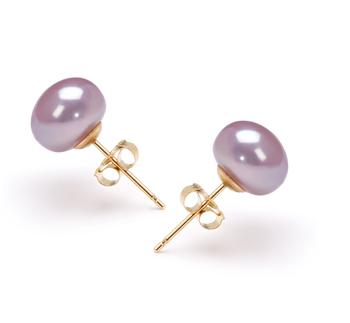 For daytime wear of course sometimes keeping things simple is the best option so why not choose a pair of beautiful Lavender freshwater stud pearl earrings. 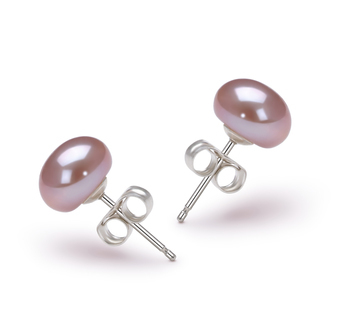 As for in the evening you could stick with studs, but you may want to add a little more touch of glamor, sophistication, and elegance to your ensemble. 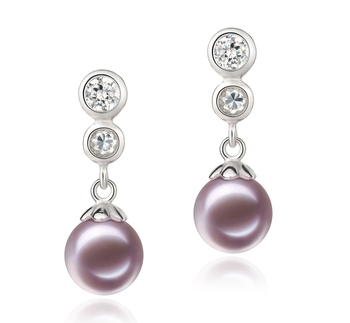 If this is the case then you should opt for a very simple pair of Lavender Freshwater pearl drop earrings. 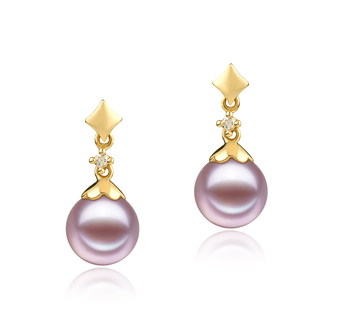 As long as you keep the information above in mind when it comes to buying a set of Lavender Freshwater pearl earrings then you should find it at all difficult. 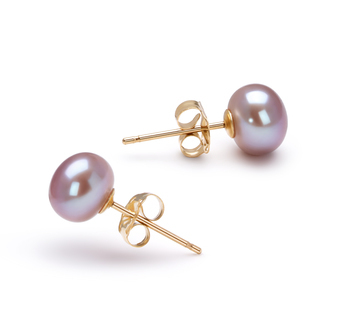 Just take your time and peruse the various styles we have to offer to find the pair that not only fit within your budget but also meets your particular tastes and needs.